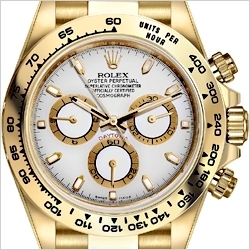 Since it’s London founding in 1905, Rolex has long been hailed as the epitome of luxury, status, and reliability among timepieces. Hans Wilsdorf, the company’s founder, began with a vision of a timepiece that was as precise as it was elegant, and was to be worn on the wrist rather than has a pocket watch, a combination that was unheard of at the time. The company wanted to create a name that was easily remembered, easy to say in any language, yet still looked good when it was placed on watch dials. 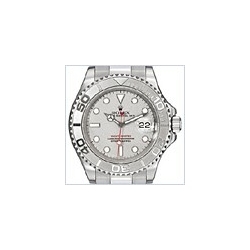 24diamonds.com has a large variety of brand new authentic Rolex watches for sale. 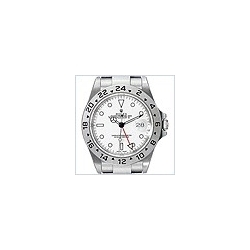 It wasn’t until 1926, that the first waterproof and dust proof wristwatch was created by Rolex. This marked the first major step forward for the brand and the watch was given the name "Oyster" for its hermetically sealed case. To prove that Rolex Oyster wristwatch was waterproof, the company had Mercedes Gleitze cross the English Channel in 1927, which of course had the watch working in perfect order after the 10-hour swim. By the time 1931 came around, Rolex had invented the world’s first self-winding mechanism with a perpetual rotor which is not the heart of every modern automatic watch you see today. In 1945, Rolex debuted its first Datejust, a self-winding chronometer watch that provided the wearer with the date on the dial of the watch. 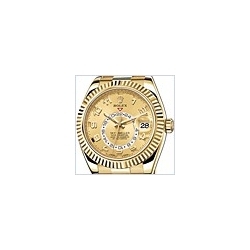 This particular Rolex watch was quite distinct, equipped with a Jubilee bracelet, a fluted bezel and yellow gold aesthetic. Although initially created for men, several models were created for women throughout the decade that followed. 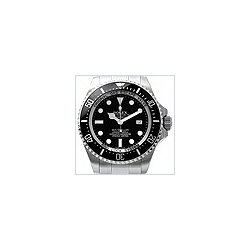 Throughout the years 1971 – 1992, Rolex created several watch models specifically for individuals who wanted to explore the world around them. In 1971, the Explorer II was made that gave polar explorers the ability to push boundaries, whereas, in 1978 the Sea-Dweller 4000 was created for divers who needed a waterproof timepiece that would allow them to dive up to 1,220 meters (or 4000 feet). 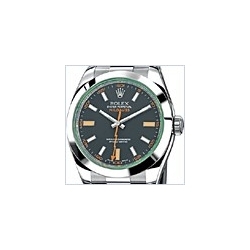 In 1985, the brand began manufacturing 904L Oystersteel watches which had exceptional sheen and anti-corrosion properties. 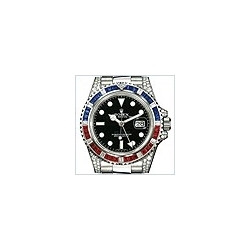 Early 2000’s saw Rolex conceive its 4130 chronograph calibre movement, patented a Cerachrom bezel, create a Blue Parachrom Hairspring, and create watches for deep sea diving (Yacht-Master, Deepsea) and sky-high flying (Sky-Dweller). 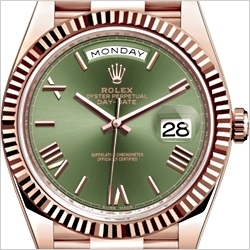 Rolex Datejust watch collection is notably one of the most recognizable watches, spanning hundreds of eras with its distinctive two-tone metal designs. The series ranges from 28 to 41 mm in diameter, all of which are made with a combination of steel, diamonds, and a given colour of white, everose, or yellow gold. 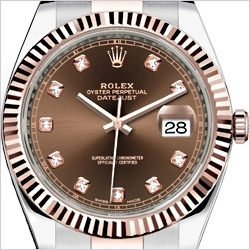 Datejust watches by Rolex come with scratch-resistant crystal sapphire over the face, a cyclops lens over the inlaid day and date for easy viewing, and a fluted bezel that serves both as a distinctive aesthetic piece and as a waterproof seal. The dial itself comes in a wide variety of colors including champagne, malachite, pink, and chocolate, all of which have 18 karat gold hour markers. 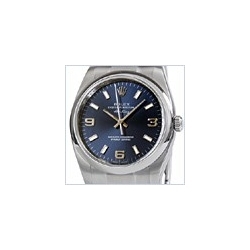 Each Rolex Datejust watch comes with either a jubilee or oyster bracelet that is designed with either a 3 or five piece link, which have oyster clasps and a 5 mm comfort extension link. 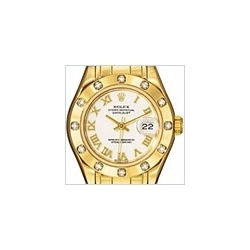 Finally, each display is designed with the signature 18 karat gold numerals.